The Vegan’s Husband named me as a baton carrier in the Hope relay and I’ll tell you I was a little nervous. It seems like a lot of responsibility. First, pre-heat your oven to 400F/205C. 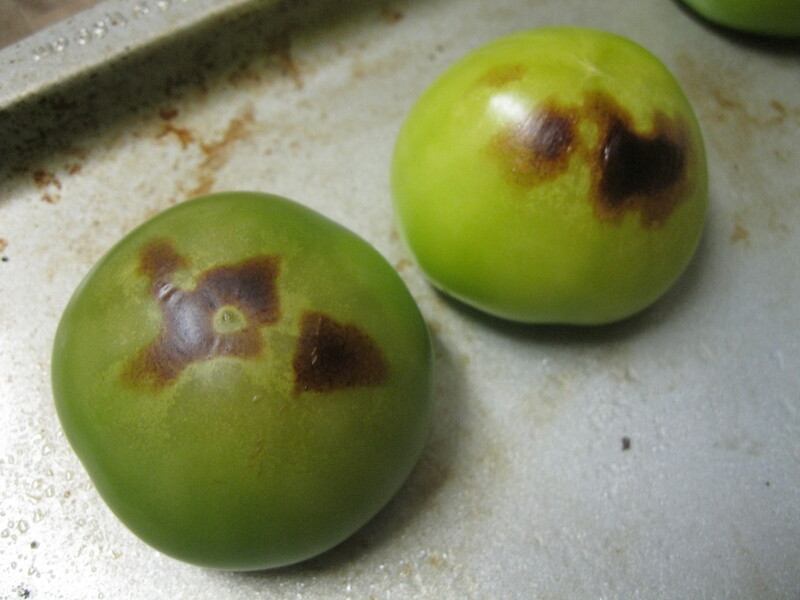 Grease a baking sheet lightly and put your tomatollos (whole but papery husk removed) on it. When the oven is hot, put them on the top rack near the broiler coil. This particular day it took only 8 minutes to blacken the skin (above). I wish I knew a better way to time this stuff without lighting them on fire but all I can advise is to watch them closely after 5 minutes. When they’re done, set them aside to cool. Also, don’t forget to turn off the oven. 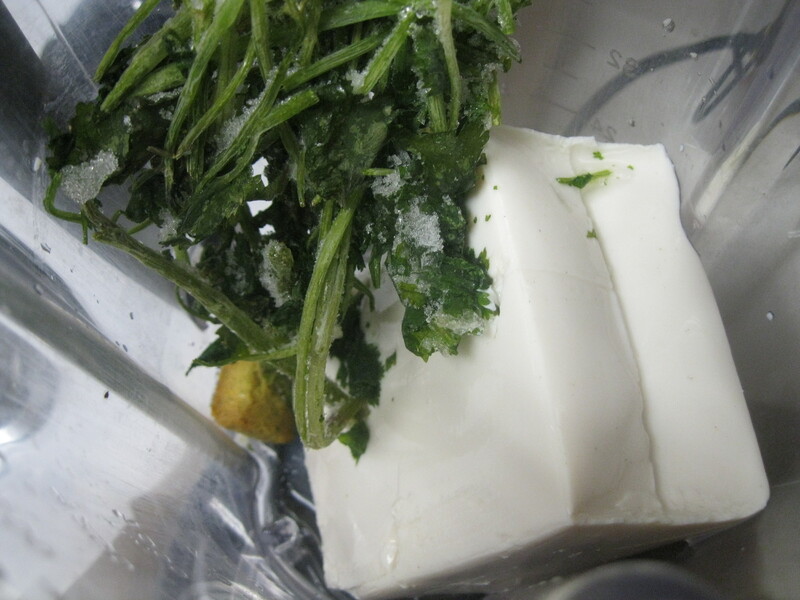 I put the block of tofu into my blender along with the cilantro and bouillon cube. Whenever I use leaves from cilantro I put the stems in a bag in my freezer for use in recipes like this one. Freezing preserves the aromatic compounds that give cilantro it’s unique (and to some offensive) flavor that is lost in dried coriander powder. The stems are also very flavorful and full of fiber. 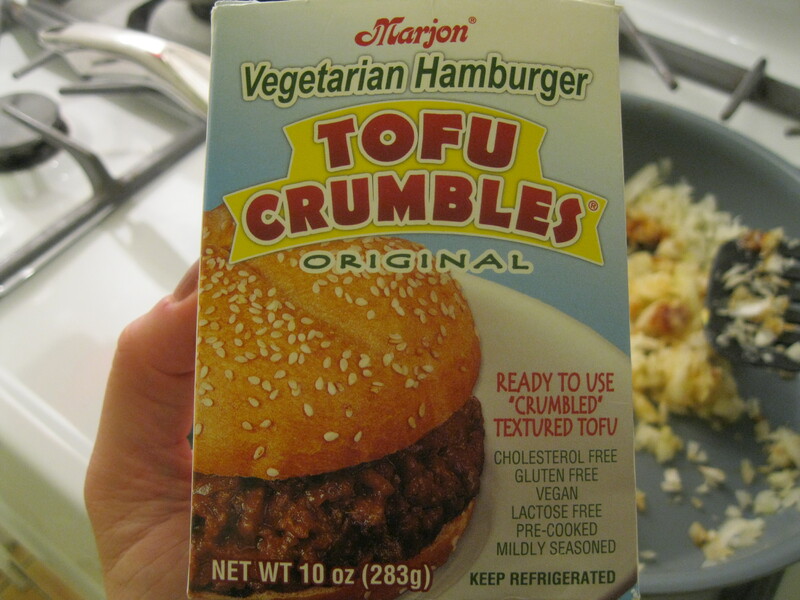 I blended the tofu until it was creamy. 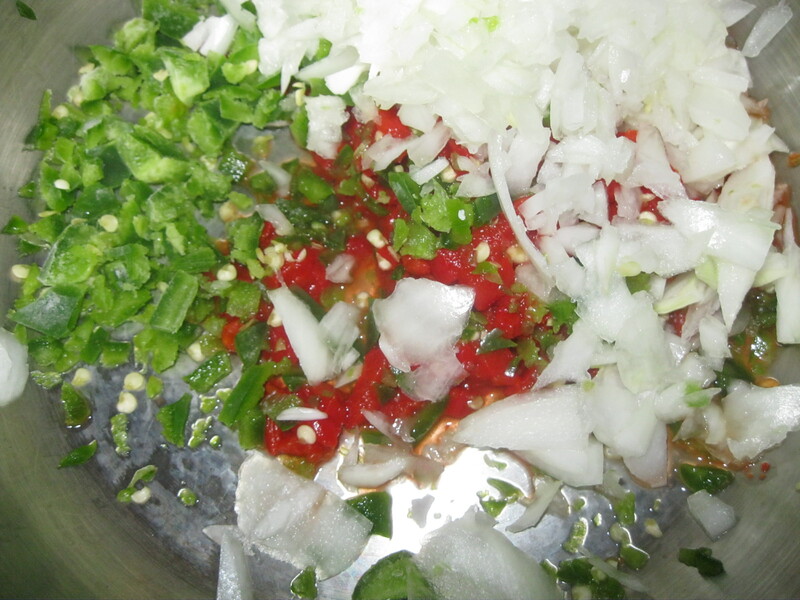 Meanwhile I added a teaspoon or so of olive oil to a pot and sauteed the onion, pimientos and jalapeño. 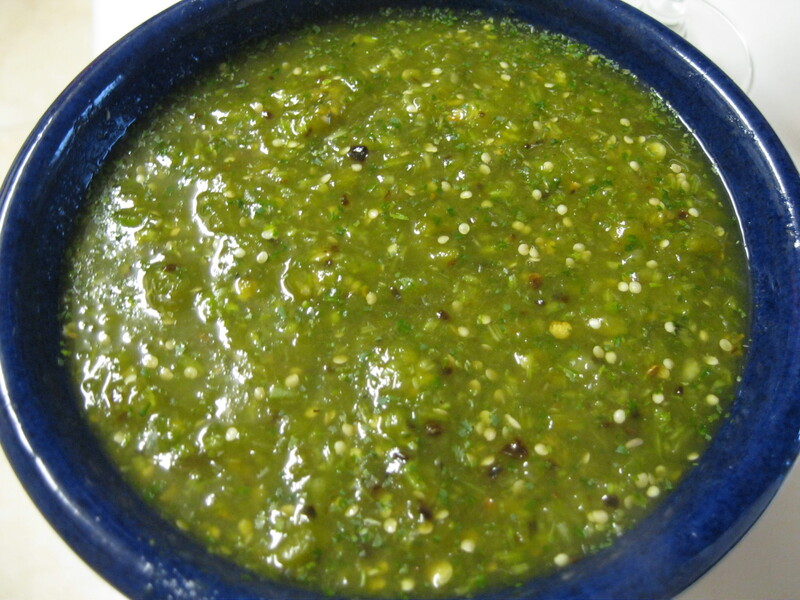 We like food spicy so if you’re shy, consider adding a quarter or half of the jalapeño. 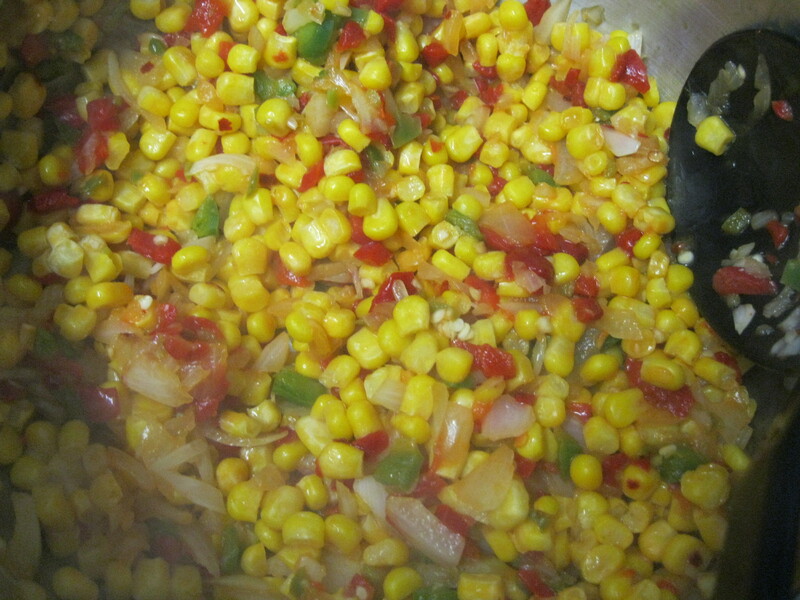 When the onion had become translucent, I added the flake red pepper and frozen corn and continued stirring until it was thawed. 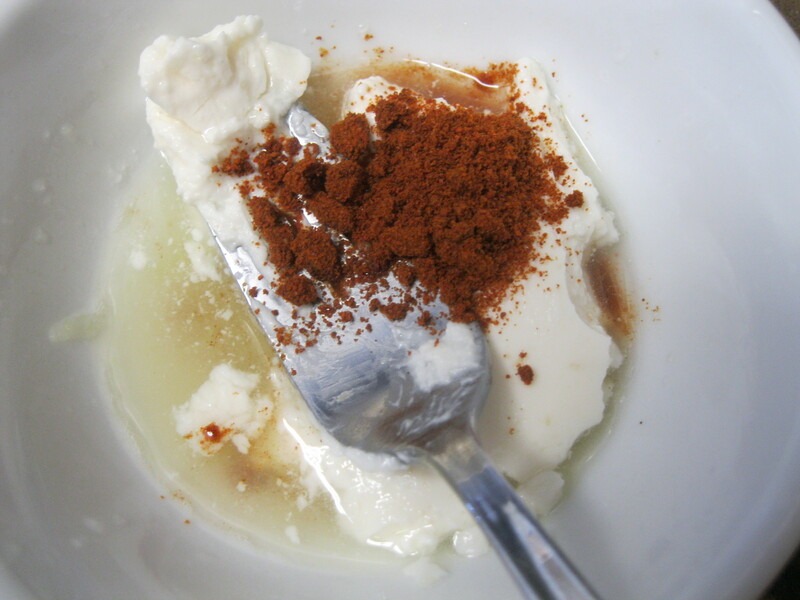 I added the tofu and used another cup of water to get some of the remaining tofu out of the blender. 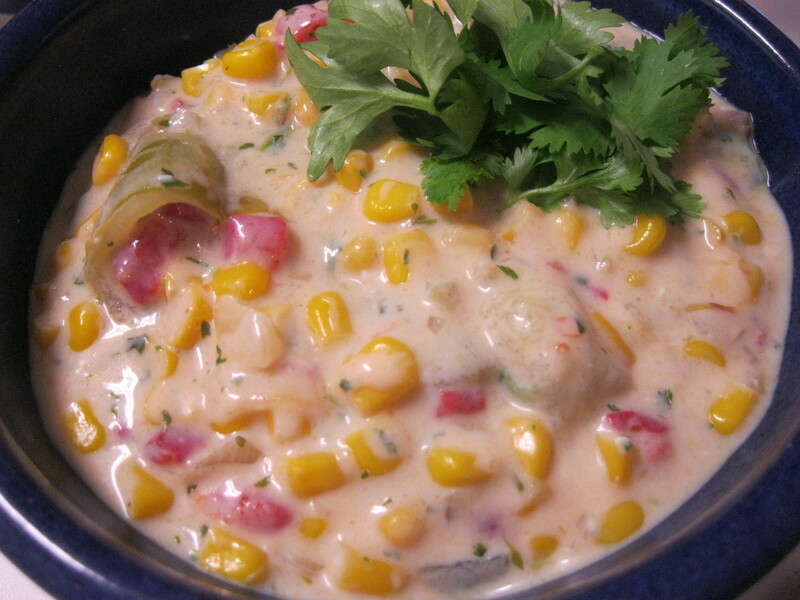 I added it until I liked the consistency of the chowder. 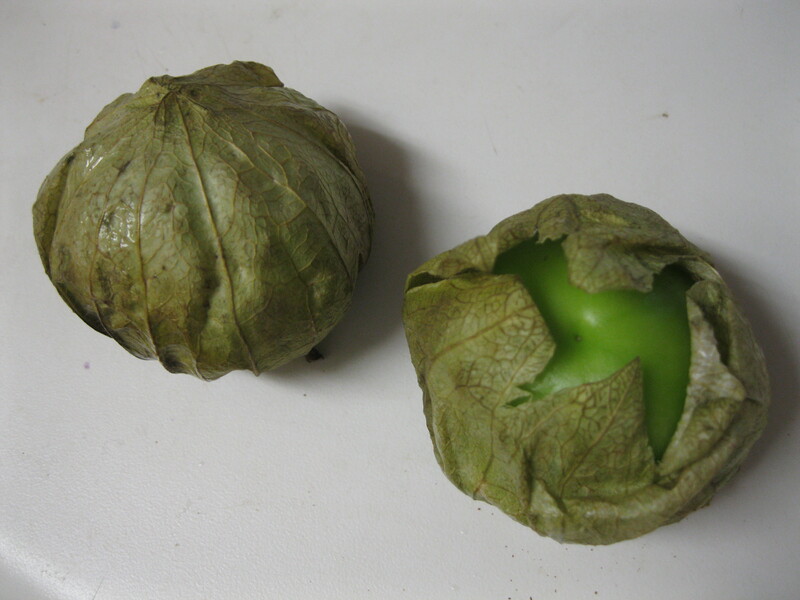 I took my tomatillo and chopped them roughly. I stirred them in gently and served garnished with fresh cilantro leaves. Brent ate his with corn chips and there were no leftovers which made me sad. I love awesome lunch and even better when it’s high protein comfort food. 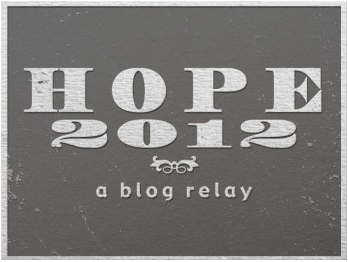 Now that we’re full of delicious food I can be more objective in my choices on to whom I’ll pass on the Hope baton! 1. Whatcha Reading? is a blog that covers a broad range of topics relevant to vegans from cooking and baking to eating out and weird situations that come up when you’re a vegan in a carnist world. 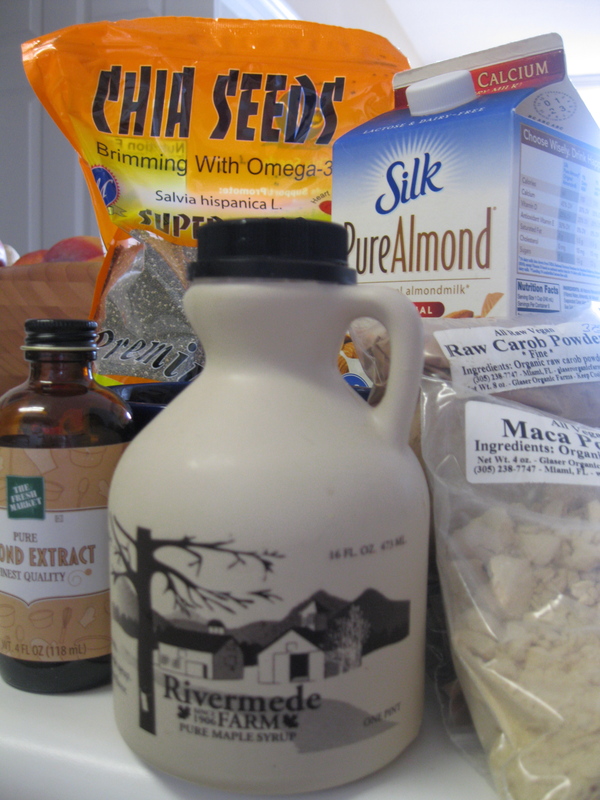 2. an Unrefined Vegan Is anything but unrefined. This blog features stunning photography or mouth watering vegan food and something out of my cooking comfort zone: baking. Breads, cookies, cakes and muffins abound here along with other vegan goodies… give it a look. 4. I’ve become a big fan of the Teapot Vegan. This blog is so honest as to be indispensable. It reminds me that identity and being vegan are intertwined with health, self image and day-to-day life. I often suffer from tunnel vision and this blog brings me right back to seeing the whole picture. 5. Last and not least Vegan Monologue is a blog that does great product reviews and doable recipes. The photography is great and the instructions are easy to follow. That just about wraps up this post! 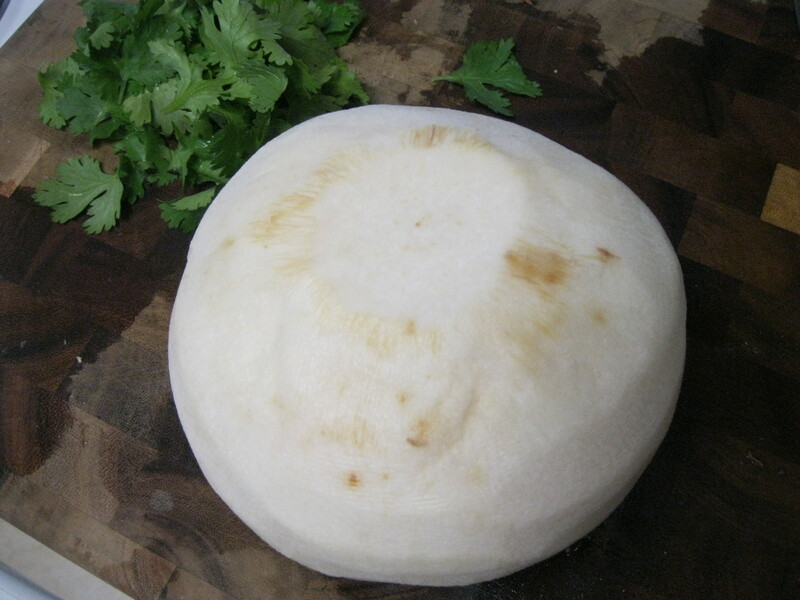 Jicama is something they sell in most supermarkets here in South Florida. It’s a root vegetable with a texture reminiscent of radish with a soft slightly sweet flavor. It has a thin brown skin and white flesh. 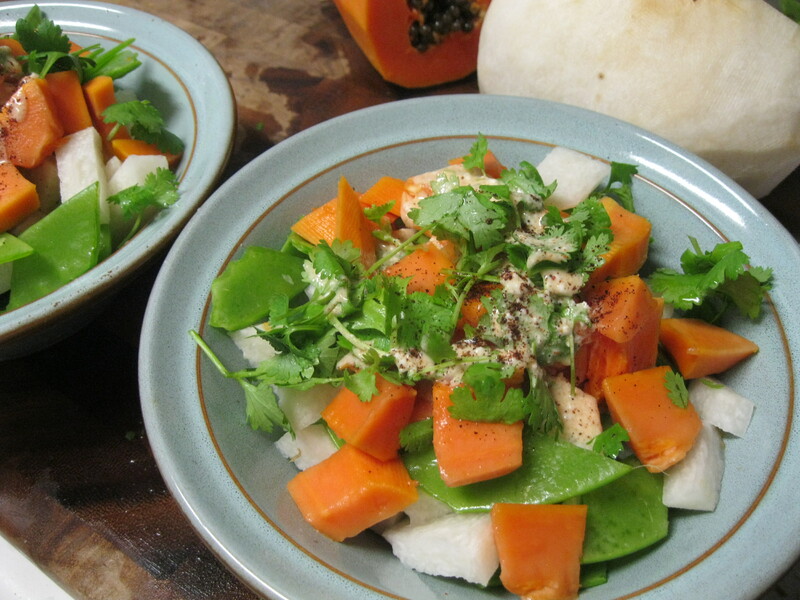 It’s great in salads and we make one at home usually with papaya, lime and cilantro. 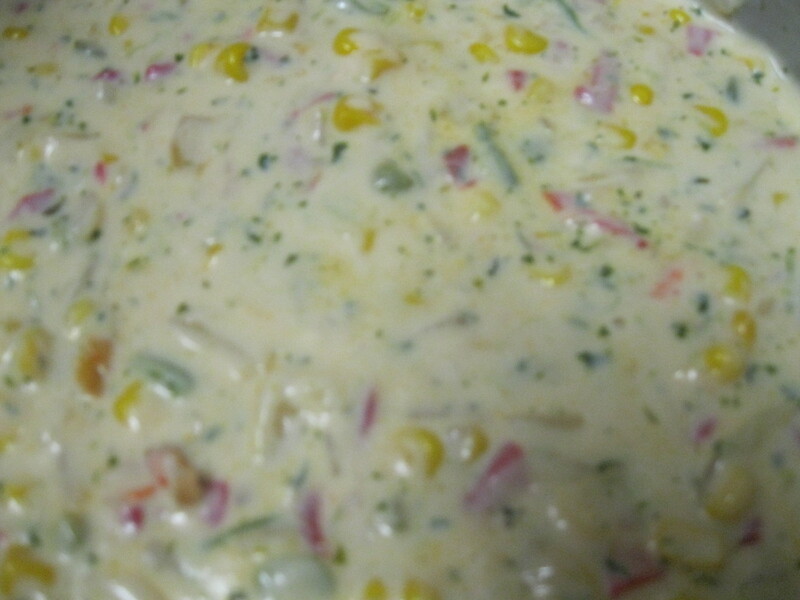 and a dressing made from juice of 1 lime, cayenne pepper to taste and 1 tbsp vegan mayo (optional) whisked together. 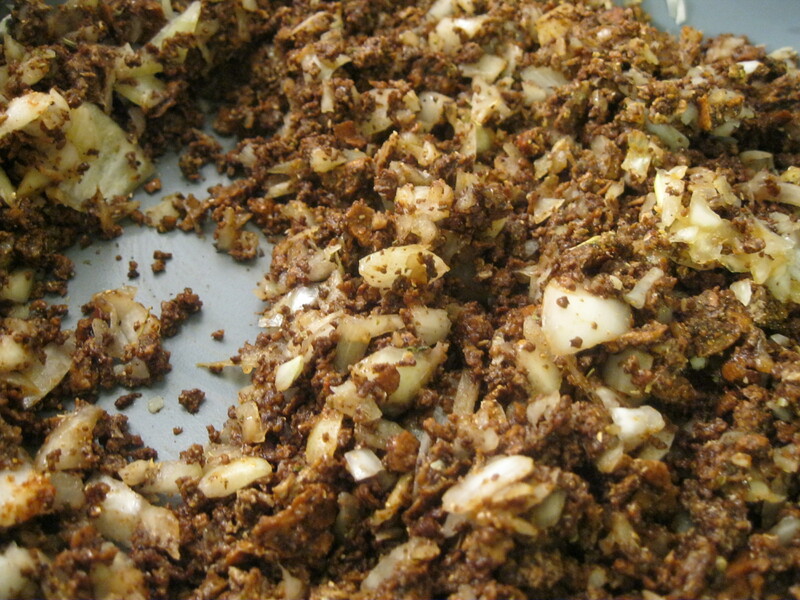 We just pour the dressing over the salad and munch away. 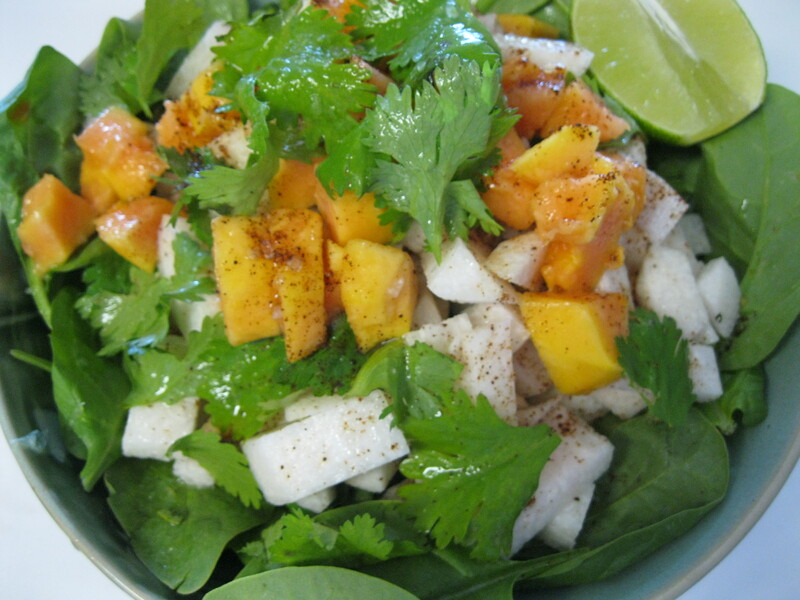 The spice of the cayenne with the cooling cilantro, sweet papaya and mellow jicama is sure to please. 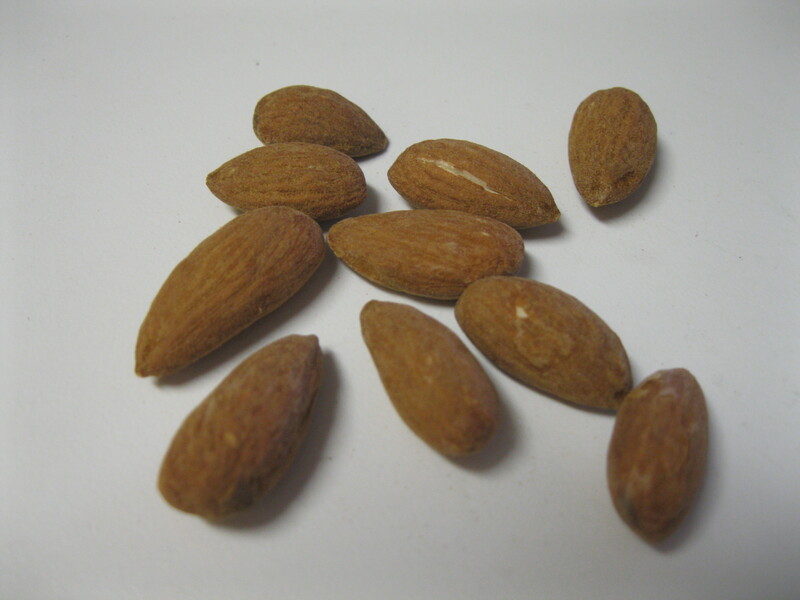 It’s low fat, high fiber and loaded with nutrients. Here’s a salad with spinach and no mayo in the dressing; we just squeezed the lime over it. Here’s another with snow peas and veganaise dressing! I hope you find some jicama and create your own summery salad! 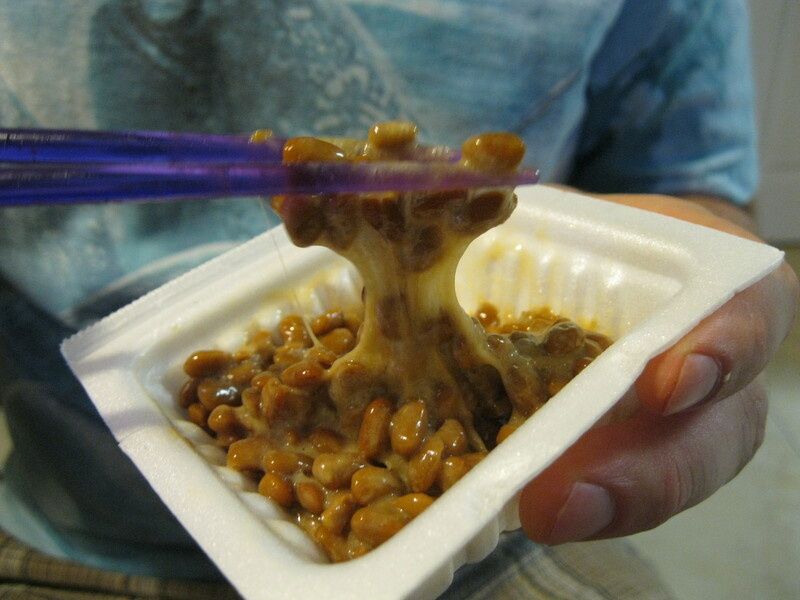 The Other Lazy Vegans: Natto! This is my second time trying natto and Brent’s first. 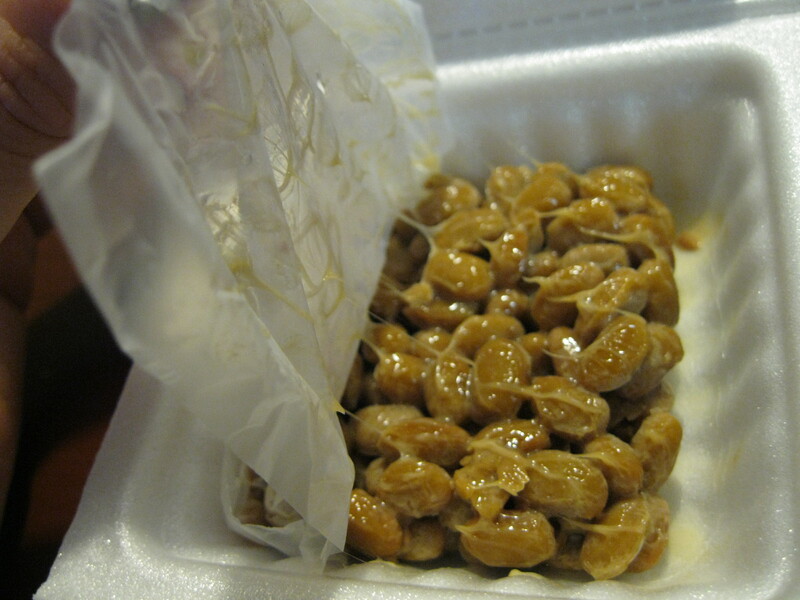 Natto is a traditional Japanese preparation of soybeans that has been around for several thousand years (up to 12, depending on which historical reference you lean toward). 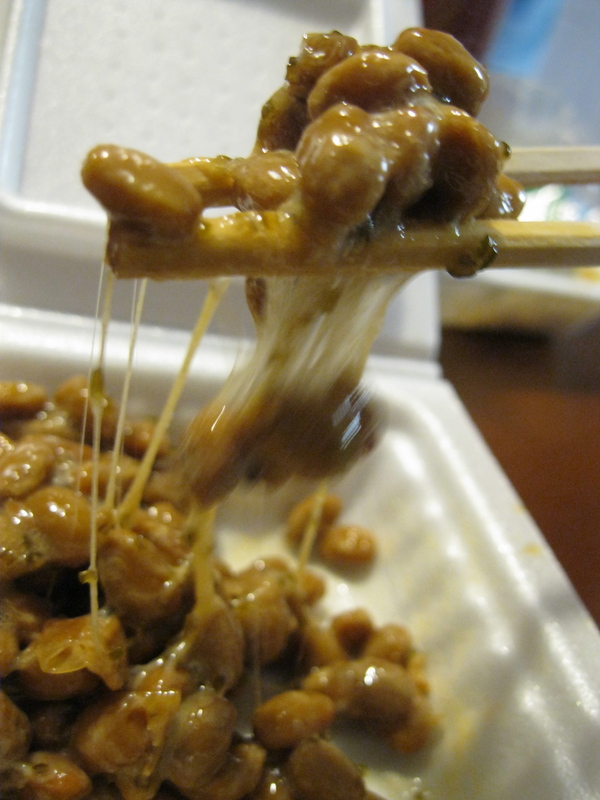 There are several compounds in natto that make it a dietary source of unusual bioactive compounds. 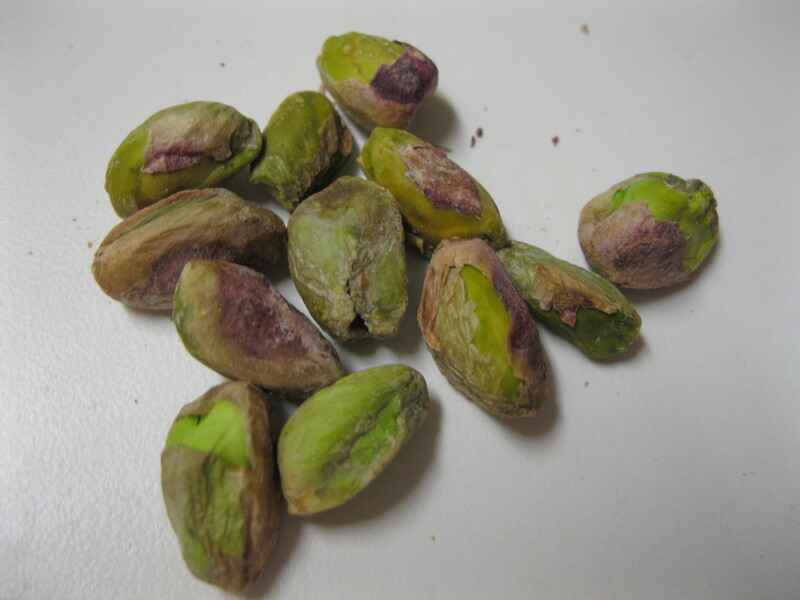 First on the shortened list is pyrazine which has been studied as a known antibiotic and diuretic with anti-tumor activities. Second spotlight goes to vitamin PQQ which has been studied extensively for its antioxidant and neuroprotective effect. That means it has been implicated in preventing neurodegeneration. Who doesn’t wand that? Last but not least is nattokinase and enzyme with properties suggesting it may be helpful in treating heart disease and neurodegenerative disease by preventing clots and preventing hemorrhage in the brain. Okay… that was a lot of talking, let’s get to the food. 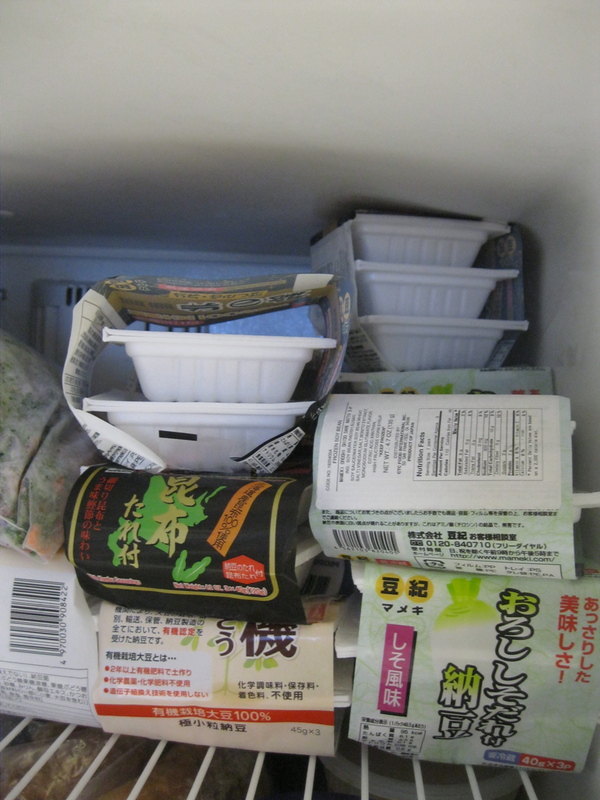 Here it is in our freezer. It comes frozen in nifty little polystyrene containers with little packets of sauce. I have no idea what the packaging says… except for that little part in English. Be careful when you buy it because several varieties contain fish sauce. The bottom line is that it’s soybeans fermented with Bacillus subtilus resulting in beans with a strong cheesy odor, burned hair/plastic taste all stuck together with gooey snot. Now… why would anyone eat something that they just describe the way I just described that? It’s certainly an acquired taste. There was a time when I didn’t eat Brussel’s sprouts because I thought they tasted like tire rubber. It comes with sauces: mustard, soy, hotsauce and other typical options that you mix into the natto until it gets extra gooey. 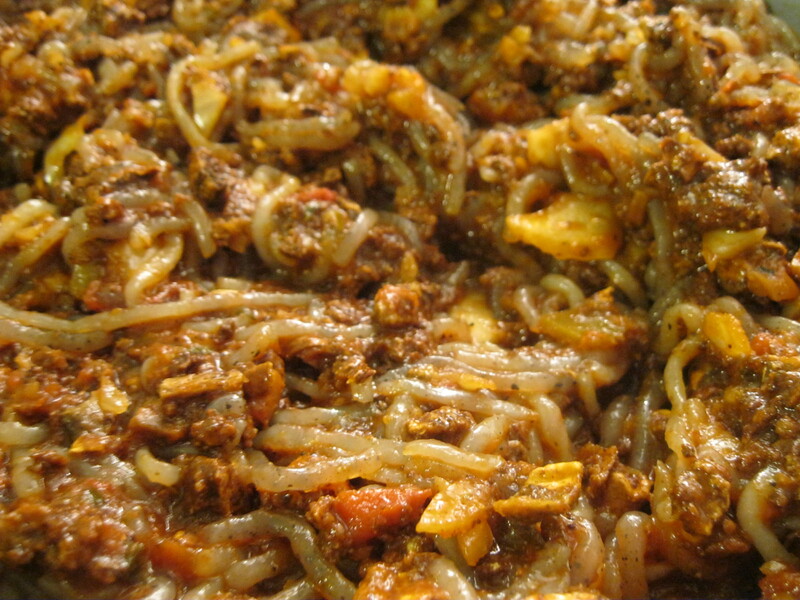 Often, once it’s mixed up with whatever sauces people prefer, they’ll transfer it to hot rice. Brent and I threw ourselves on it headlong. Here’s a shot of Brent trying to like it. Just kidding… he did. We’ve kind of got a bunch, as you could see from our freezer so we’ll be trying it again and maybe we’ll both acquire this acquired taste. 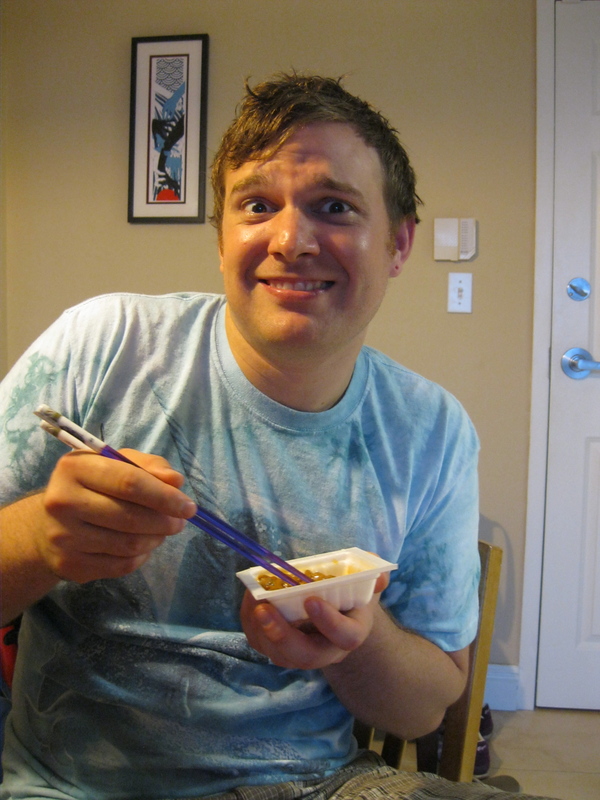 Personally, I’m surprised to say that I really like it… with enough hot sauce and soy sauce. I’m looking forward to trying it with green onion and hot quinoa! I know a lot of us have probably seen these in a local grocery store or farmer’s market and didn’t know what to do with them. 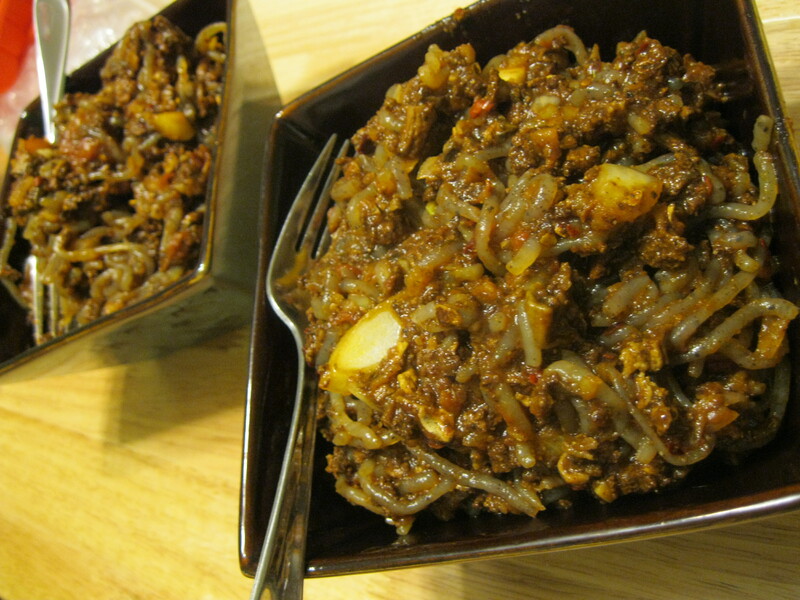 This is a refreshing traditional preparation that’s quick and easy for company or just to enjoy yourself. I hate wasting things so I usually save the stems from my cilantro when I use the leaves for a garnish. This dip gets blended up anyways so nobody will know but you that you. 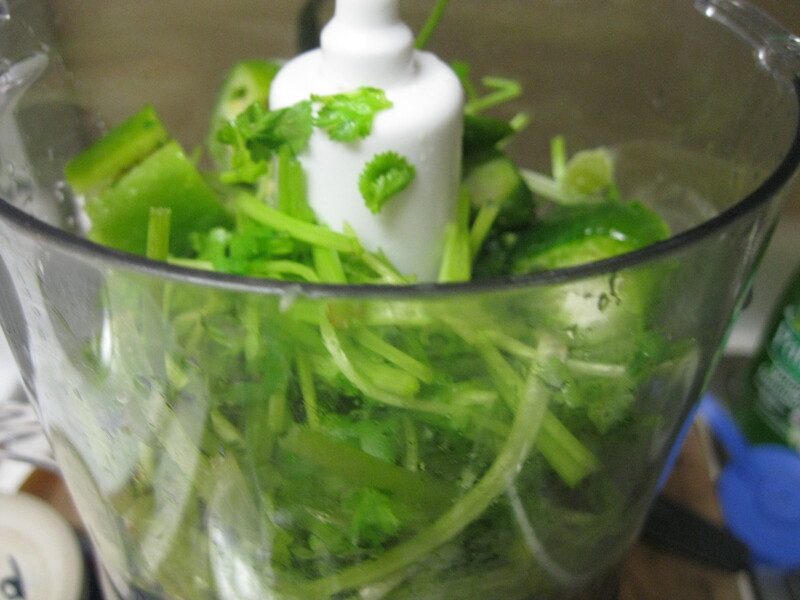 Fun fact: cilantro stems keep their unique flavor and aroma when frozen. I spray a baking sheet with olive oil and bake them at 355F/180C on the top rack next to the broiler burner so that they blacken, usually for between 5 and 10 minutes. 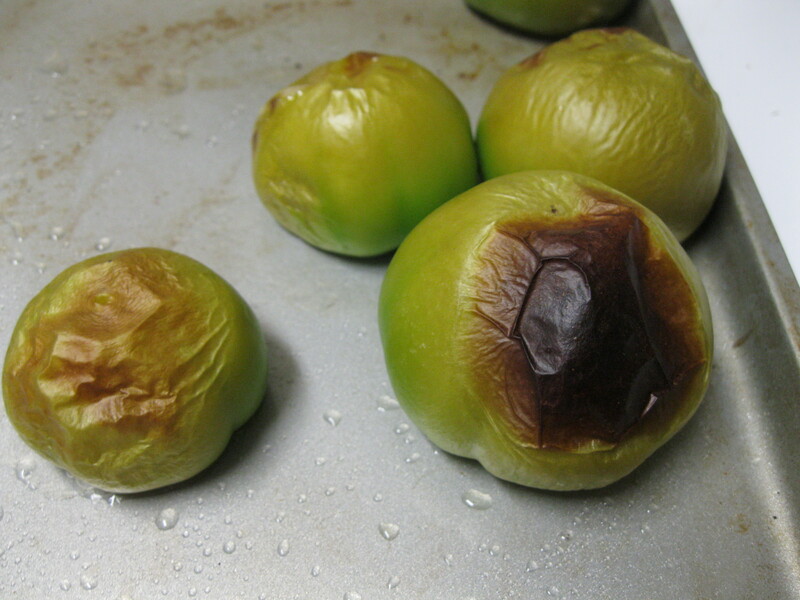 I’ve definitely taken a few tomatillos out of the oven to discover one was on fire. Don’t worry (put the fire out first, okay?) just blend them as usual after picking off any parts that are papery from being burned. This is a quick easy recipe that’s sure to please. We hope you get to try it! 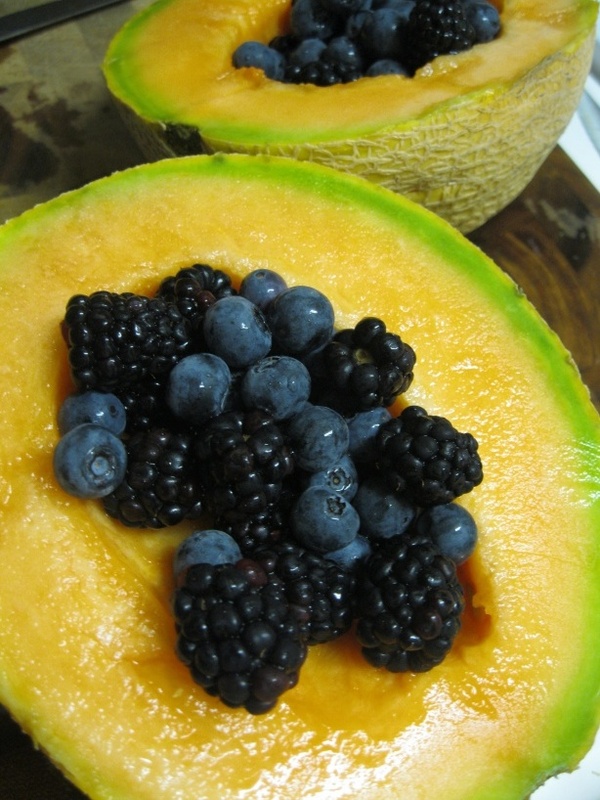 Summer is here and local fruits are ripe and gorgeous. There aren’t any words for how delicious this was so I’ll let the visuals speak for themselves. 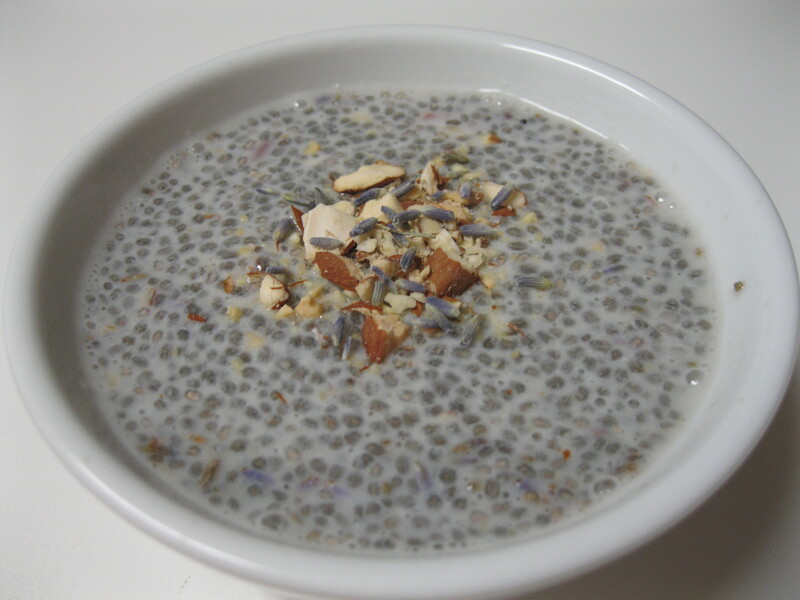 Maca and Carob Chia Seed Pudding! I love pudding. I really love pudding. 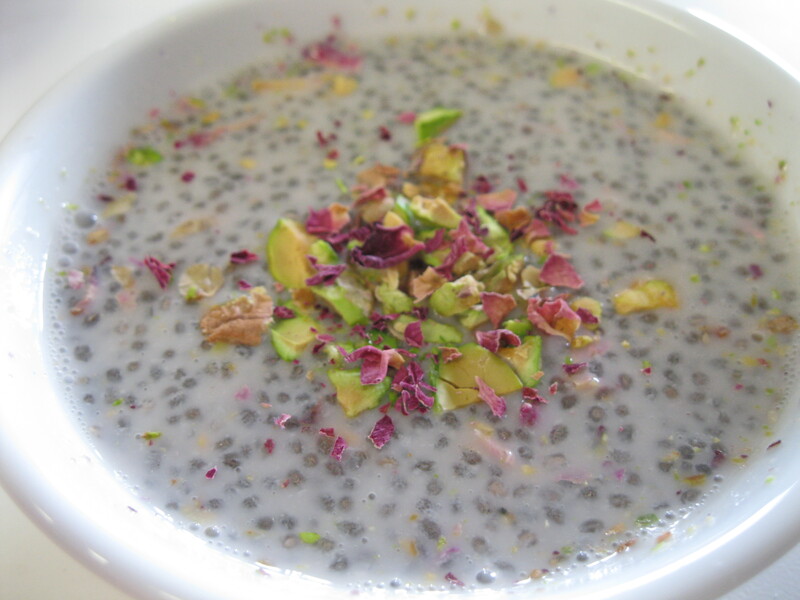 When I saw An Unrefined Vegan’s chia seed pudding I decided that I had to have some. I’m not very good at following instructions so I made my own version of Food Doodle’s pudding. I’ll take an aside to promote maple syrup farming: this centuries old practice promotes the preservation of old growth forests, typically with a minimally disruptive human intervention. Above is a picture of miles of tubing running through the woods into a pair of collection vats that must be emptied several times during the repeated freezes and thaws of spring. 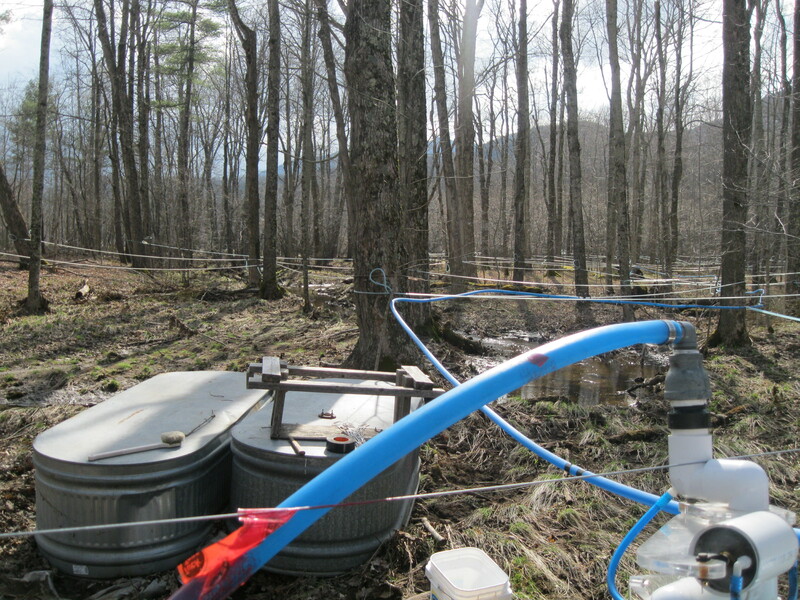 Great care is taken to keep the taps and tubing clean so that the sap doesn’t ferment and the trees stay healthy to produce during the next season. The tubing is put into place after the first snow and removed after the last thaw has passed. I love the smell of maple sap being boiled down. Grade B is my favorite kind of maple syrup. 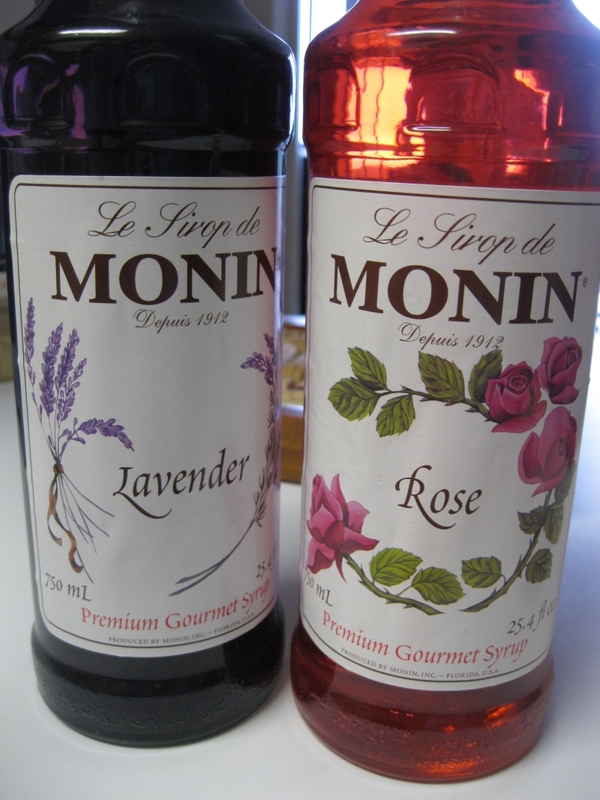 It’s supposed to be lower quality than the grade A “fancy” syrup that looks so lovely in clear glass bottles but I love the intense maple flavor. I let it sit for half an hour and then ate it. I kind of shared with Brent but not really. I really love pudding. 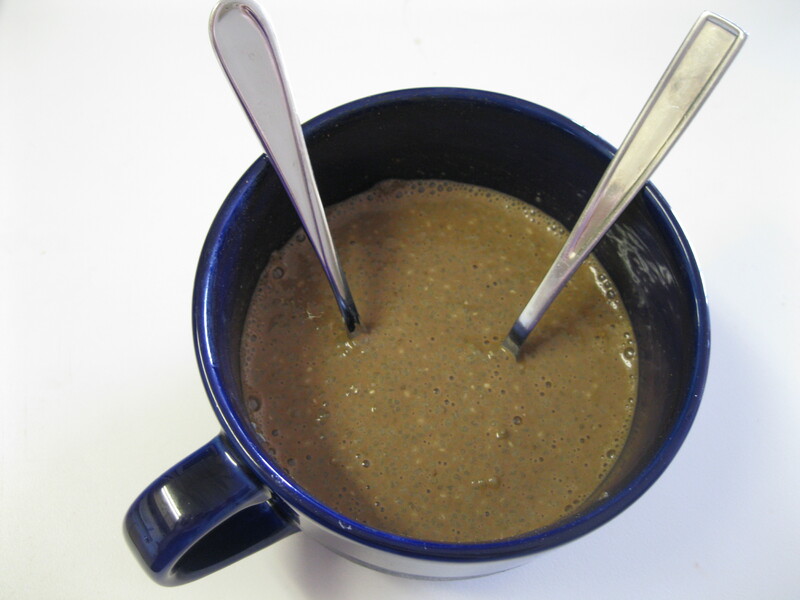 It was delightfully nutty and chocolatey and loaded with antioxidants, calcium, omega fatty acids and other good-for-you stuff. I lé recommend. I’m also realizing that this is a very versatile recipe and can be manipulated with the ingredients you prefer… next I’m thinking mint chocolate chip!